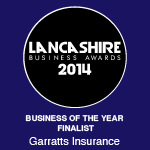 In 2012, we were awarded the prestigious status of Chartered Insurance Broker. This award is not given to any old broker; it’s given to those brokers that have shown and demonstrated they have the skills, knowledge, attention to detail, and professionalism to be one of the few broker to achieve the minimum standards set by the Chartered Insurance Institute. As a result of our dedication to the profession of insurance, we were given the opportunity by AXA Insurance to promote our Chartered Status by having a new website designed. We are really proud of our new website; as it forms part of our strategy of continued professionalism and business growth. It will certainly become a hub of exciting and relevant information; and in due course we will tell you more about this. 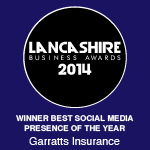 Here’s some information on our Chartered Insurance Broker status. In the mean time, lets enjoy the sunshine whilst it lasts! http://wp.freedomofcreation.co.uk/garratts/wp-content/uploads/sites/37/2014/12/logo-300x99.png 0 0 Anna Ainsworth http://wp.freedomofcreation.co.uk/garratts/wp-content/uploads/sites/37/2014/12/logo-300x99.png Anna Ainsworth2013-06-17 14:57:312017-01-18 10:34:45The launch of our new website!